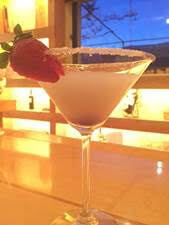 Arak is a distilled alcoholic drink favored in the Middle East. 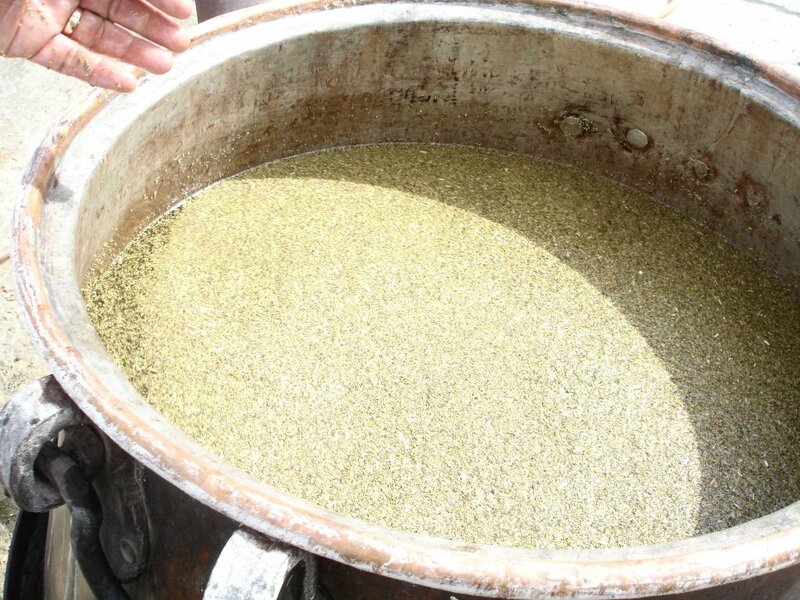 Commonly used in social settings, the drink is famous for its strength, the aniseed flavor and the milky-white color it turns when water is added to it. 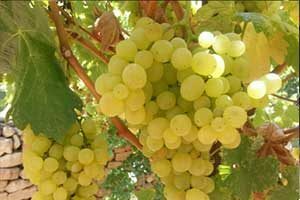 Arak has a freshness that cleans the palate and aids digestion. 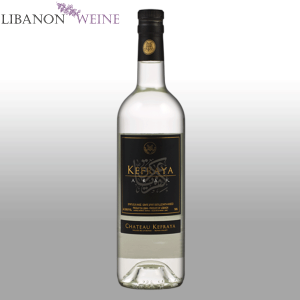 It is often served as an aperitif and then as the perfect accompaniment to classic selections of mezze. 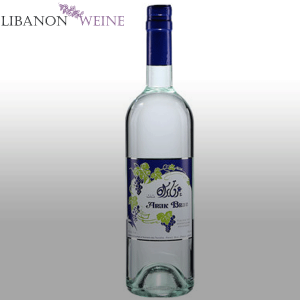 Arak works particularly well with the mezze melange that will include olives, spices, meat and cheese – flavors that are sometimes harder to match with wine. 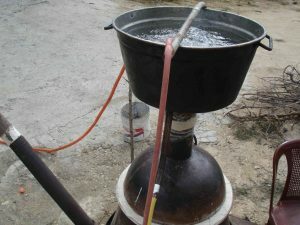 After the fermentation is complete, the grapes and their juices are put in the lower part of the karkeh with a small quantity of coal at the bottom to start the first distillation process. Once the first distillation is done, the product is alcohol, it is just raw alcohol that cannot be drank. When is it Served and Served With? 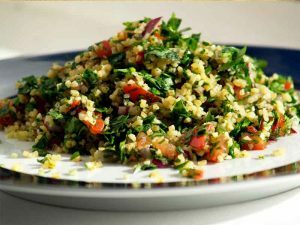 It is most commonly served in social settings or gatherings, such as dinner parties, restaurants and night clubs. 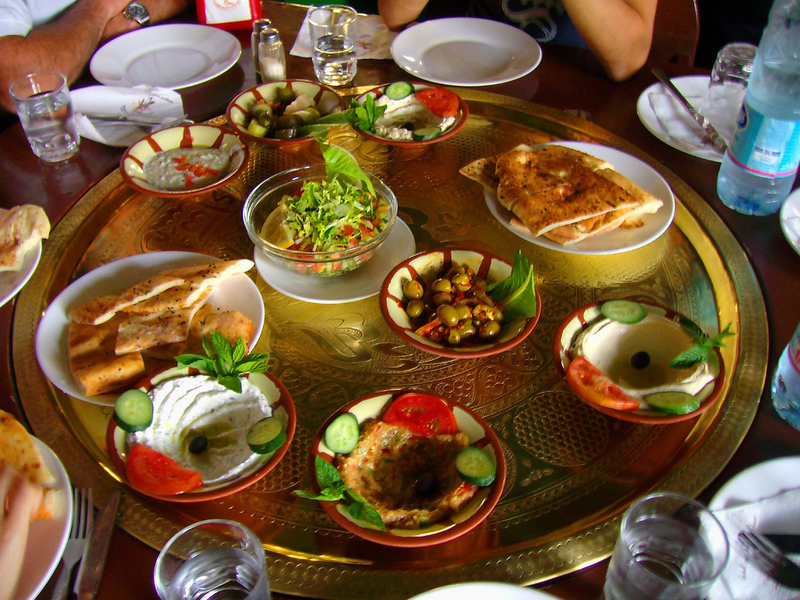 Traditionally, the drink is served with mezze, which the guests consume to help hinder the potency of the alcohol. 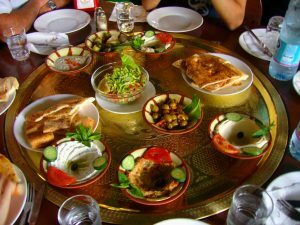 It goes hand in hand with these mini-meals so that in the case of a dinner party or restaurant, the main dish is hardly touched. 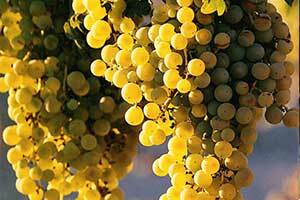 A proper arak, has only two ingredients, grapes and the native aniseed of the Mediterranean. 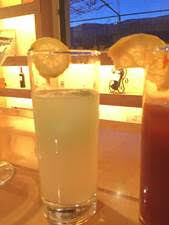 It is drunk not before or after meals, but with them. 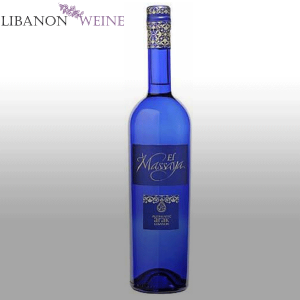 Because it clears the palate more efficiently than wine, it makes the perfect accompaniment to a Middle Eastern mezze. 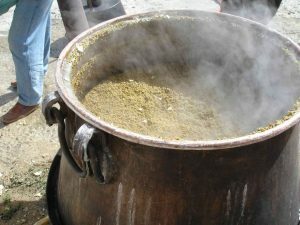 Arak is not just Lebanon's national drink, for many it is a passion, to the point that the most consumed in the country is not factory-produced, but home-distilled where it’s typical to distill a third and even a fourth, topping it up with water each time before bringing it down to 53 degrees of alcohol. The crystal clear liquid is then matured in clay jars for at least a year. 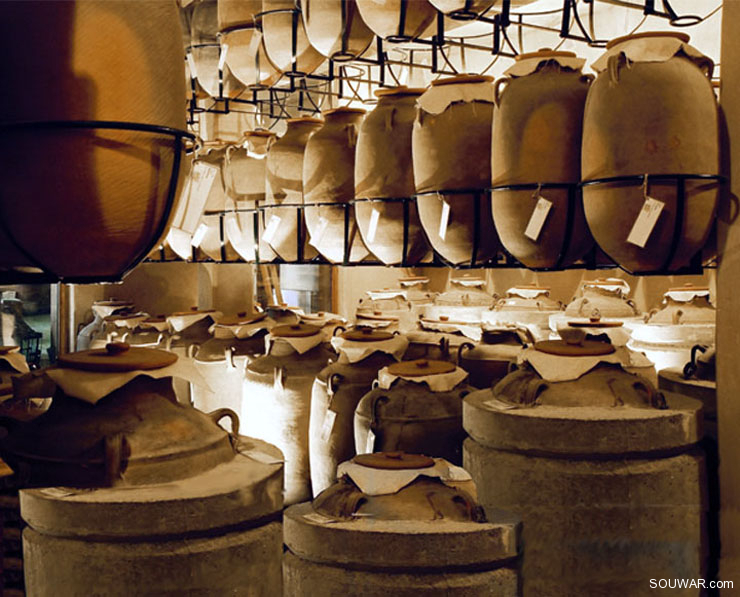 The large jars, which look just like Roman amphora, are slightly absorbent. 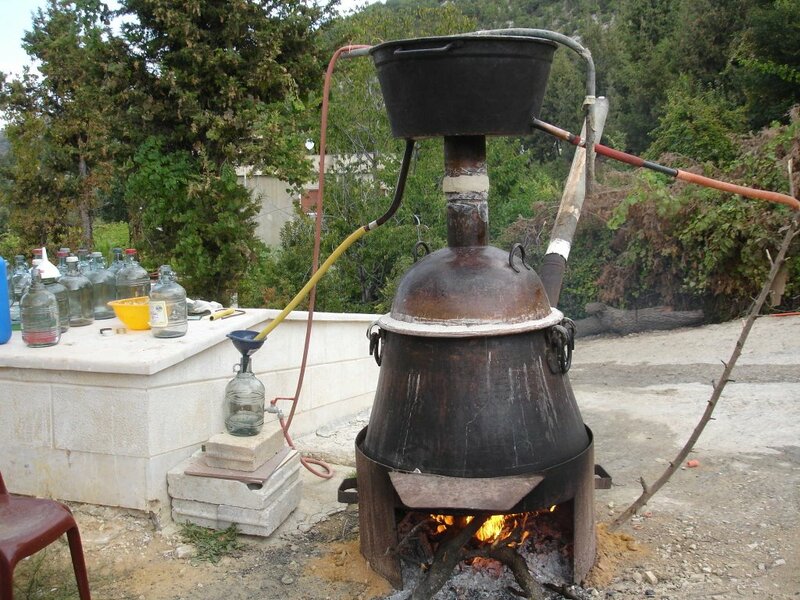 Understandably, those not familiar with arak tend to assume it is much like Pastis, Ouzo or Raki. 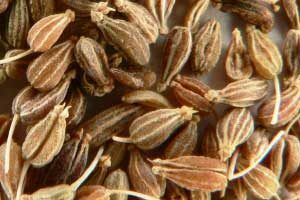 But connoisseurs find little resemblance, beyond the fact that both are strong, taste of anise and cloud mysteriously when water is added. Pastis is sugared, and flavored with a range of herbs. Its base alcohol is of the cheap variety, typically distilled from sugar beet. 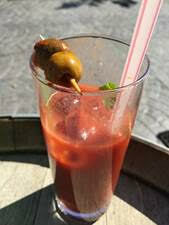 It is drunk, copiously, as an afternoon aperitif. Greek ouzo, and its stronger cousins tsikoudia and tsipouro, sometimes elaborated with mastic and other herbs. 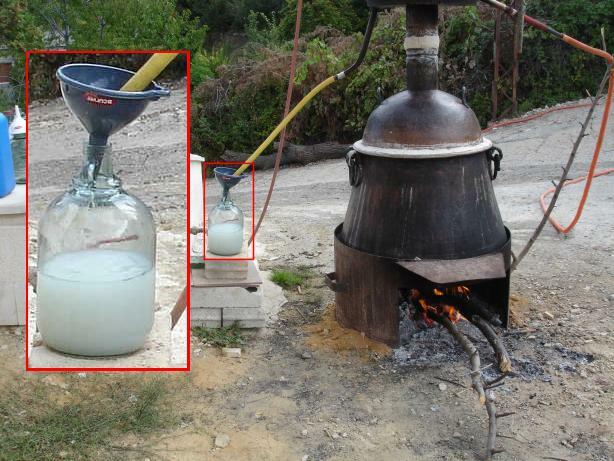 Raki is traditionally produced by twice distilling grape pomace - the solid remains of grapes, olives, or other fruit after pressing for juice mixed with ethanol. 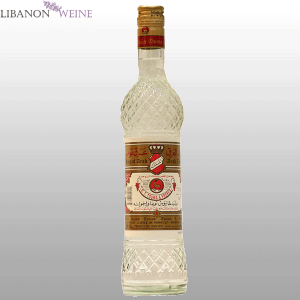 Lebanon's better commercial araks are as expensive as imported spirits. Competition, along with changes in the Lebanese way of life, has certainly cut into sales. (In Greece, similarly, whisky now outsells ouzo.) Yet recent years have seen a return of interest to the national drink. Whereas long-established brands, such as Touma, Ksara and Kefraya, now tout their adherence to traditional making methods, newcomers have added a touch of glamour to the high end of the business such as Massaya and Tourelles. Recently the Lebanese nightclubs started ‘having fun’ and mixing it with cocktails! If you are interested, some of the recipes below! We would also love to hear if you have a special recipe, we can add it in here.